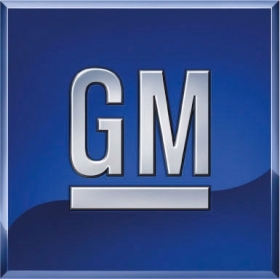 SHANGHAI -- General Motors reported its first drop in China sales in six months as purchases slowed during the week long Lunar New Year holiday. Deliveries to Chinese dealers fell 8 percent to 246,654 vehicles in January, from 268,071 a year earlier, the company said in a statement Tuesday. This year's holiday extended from Jan. 23 to Jan. 29 and marked the start of the year of the dragon. "People and workers are leaving for their hometowns, families are going on holiday," said Namrita Chow, Shanghai- based analyst at IHS Automotive. "This reduces the number of people looking to buy cars." GM, which regained its global sales crown from Toyota last year, is counting on the world's biggest vehicle market to help protect its lead as Japanese carmakers rebound from a year of natural disasters. The company plans to focus on expanding its luxury car brand Cadillac and its sport-utility vehicle lineup in China to double deliveries in the country by 2015. The Lunar holiday, like Thanksgiving or Christmas, is among the biggest selling periods in China and parts of Asia. Chinese consumers spend more at home and at overseas vacation spots such as Hong Kong and Macau. Holiday retail sales on the mainland grew 16 percent to 470 billion yuan ($75 billion), according to data from the Ministry of Commerce, the slowest pace since the 2009 financial crisis and three percentage points below last year's increase. Chevrolet sales fell 20 percent from a year earlier to 54,399 units. Deliveries of Wuling vehicles, commonly used for transporting both people and goods, dropped to 106,573 from 123,920. Buick sales rose to 71,056 units from 70,441 a year earlier, while sales at the luxury Cadillac brand rose to 2,987 from 2,530 units. China's overall vehicle sales will probably increase 8 percent this year, according to the China Association of Automobile Manufacturers. Deliveries slowed to 2.5 percent in 2011 from the 32 percent rate in 2010, after the government withdrew a two-year package of tax breaks and rebates that helped the country overtake the U.S. Vehicle sales growth in China last year lagged behind the U.S. for the first time in at least 14 years, according to figures from the Chinese industry group and U.S. researcher Autodata Corp.
GM sold an average of one car or truck every 12 seconds in the world's largest car market last year as it started a five-year rollout of more than 60 new and upgraded models in China. The carmaker's deliveries to Chinese dealers rose by 8.3 percent to 2.55 million vehicles in 2011. That compares with the 29 percent increase it reported in 2010. GM aims to double deliveries in the country to 5 million by 2015, Kevin Wale, the automaker's China president, said in December. He forecast that Chinese auto demand may expand 7 percent to 10 percent in 2012, led by demand for passenger cars, with sales of commercial vehicles probably growing 5 percent.